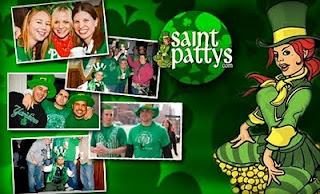 GROUPON for the St. Patty's Day Pub Crawl...EXPIRES AT MIDNIGHT TONIGHT! The St. Patty's Day Pub Crawl has been fun every year that I've done it and the fact that they're selling a ticket for all three days for $15 when it's usually $40 is insane. Who's in?! The deal is only free until midnight so we should probably move on it! Make sure when you go to the page you read, "Groupon Says: St. Patrick's Day Survival Guide." It's hysterical!